Fragmentation in the health care system creates challenges for care coordination and is a barrier to improving health outcomes. Electronic health records (EHRs) are a great step forward in helping bring down some of those barriers and ensuring health care providers have more comprehensive access to patient records and information. Innovations in technology, streamlined data sharing, and greater communication and connectivity between patients and all their health care providers — physicians, pharmacy and insurers — can help create a truly seamless system that offers greater transparency and access. CVS Health and Epic today announced a strategic initiative to help lower drug costs for patients and improve outcomes by providing prescribers with expanded visibility to lower cost alternatives through enhanced analytics and data sharing. CVS Health will use Epic’s Healthy Planet population health and analytics platform to generate insights about prescriber dispensing patterns and patient behavior around medication adherence. Epic’s EHR system is already used to support the nurse practitioners of MinuteClinic and is being incorporated into CVS Specialty care management programs. Interoperability allows millions of records to be exchanged daily with tens of thousands of organizations through various national and regional networks, including hospitals, clinics and other health care providers. At CVS Health, we continue to explore, identify and develop projects to expand interoperability, improve connectivity, and advance the leading edge of technology innovation beyond the pharmacy to the entire health care system. Doing so can help truly change the delivery of care in the future and bolster prescription decision-making for patients and their care teams, including physicians, pharmacists and health insurers. The new initiative with Epic is another step in this direction. Enable real-time benefit information sharing and facilitated, point-of-prescribing electronic prior authorization (ePA) to help share information about covered drugs that are clinically effective and available at the lowest out-of-pocket cost for the patient. Development of a comprehensive clinical database to enhance medication counseling and help optimize medication selection for CVS Health patients. Improve pharmacist access to clinical information and allow contribution to the care plan to improve continuity of care. Creation of a digital front store to include over-the-counter medication and durable medical equipment purchases into the patient’s EHR. Interoperability within the health care system means ease of use for providers and patients, and greater access and transparency for all stakeholders. CVS Health has been a driving force behind creating a connected clinical experience for all providers across our enterprise. Interoperability improves the delivery of healthcare by making the right data available at the right time to the right people, provides continuity of care across multiple providers and platforms, improves quality and safety of patient care by reducing medical errors, and provides clinical decision support for more effective care and treatment. Our fully-implemented Epic electronic health record (EHR) system enables bi-directional connectivity between MinuteClinic and other EHRs using the Care Everywhere health information exchange (HIE) network. Our fully-implemented Epic electronic health record (EHR) system enables bi-directional connectivity between MinuteClinic and other EHRs using the Care Everywhere health information exchange (HIE) network. Care Everywhere enables MinuteClinic to instantly connect to all hospitals and clinics that use Epic, which covers about 64 percent of the U.S. patient population. It also allows connectivity with tens of thousands of additional providers using other EHRs and HIEs. Clinicians on both sides have visibility into patient health information and MinuteClinic sends visit summaries to providers, promoting transparency and continuity of care. We are in the process of implementing Epic's EHR for CVS Specialty, which will give Accordant care management teams the ability to share clinical information in real-time with other health care providers for seamless, highly coordinated care. We are in the process of implementing Epic's EHR for CVS Specialty, which will give Accordant care management teams the ability to share clinical information in real-time with other health care providers for seamless, highly coordinated care. We also plan to enable pharmacy colleagues to obtain ICD-10 diagnosis codes, and patient biometric and health data, in addition to prescription information to support clinical decision-making. Interoperability decreases the time needed for prior authorization reviews, improves prescription processing, and helps increase overall patient and provider satisfaction. Epic will be used to provide full bi-directional connectivity between the hospital EHR and Coram’s Center of Excellence through the Care Everywhere platform. Epic will be used to provide full bi-directional connectivity between the hospital EHR and Coram’s Center of Excellence through the Care Everywhere platform. Once implemented, the referral management functionality will utilize direct messaging to communicate referrals with Summary of Care documents, and synchronizes referral data across organizations to ensure clinical continuity. CVS Pharmacy utilizes electronic capabilities to communicate critical patient care information with prescribers through their EHR system and improve access to therapy. CVS Pharmacy utilizes electronic capabilities to communicate critical patient care information with prescribers through their EHR system and improve access to therapy. We will be utilizing ChangeRx transactions to share lower cost and preferred formulary alternatives with the prescriber to help reduce out-of-pocket costs for the patient and promote medication adherence. 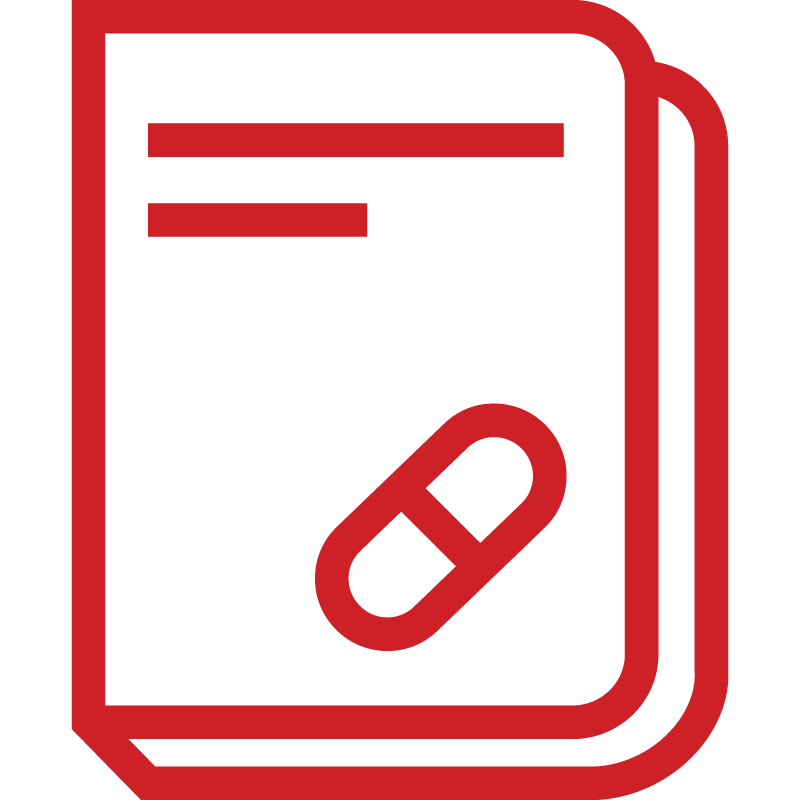 Prescribers can also send CancelRx transactions to CVS Pharmacy to cancel a prescription no longer required for a patient, eliminating any potential for harm from duplicative or unnecessary therapy. We are working to, proactively and transparently, share patient benefit information with prescribers within their EHR. We are working to, proactively and transparently, share patient benefit information with prescribers within their EHR. This will help enable prescribers to select lower-cost alternatives based on the coverage provided by the patient's benefit, and minimize disruption for the member at the pharmacy. We already share member eligibility information, medication history and representative formulary information, and provide fully enabled ePA transactions for all members, with near real-time response rates. Future functionality will include information about member out-of-pocket costs for the prescribed medication, as well as for therapeutically appropriate medication alternatives. CVS Health’s unique position and many touchpoints in patients, members and consumers’ health care journey can help to create powerful connectivity and greater integration, in addition to the real-time interventions already enabled by our pharmacy claims. Pharmacy claims provide information about clinical indication and prescribed therapy and dosage. Combined with a member’s prescription history, this enables real-time interventions to optimize pharmacy treatment and help lower overall health care costs. Medical claims lag an actual visit by days or even weeks, and while they add incremental value, do not provide the rich clinical information included in EHRs, such as test results, lab data, diagnoses, and physician and nurse insights. Our goal is to look for ways to enable prescribers to have visibility to both a patient’s prescription history information with the rich clinical data in EHRs at the point-of-prescribing. ©2017 CVS Health. All rights reserved.